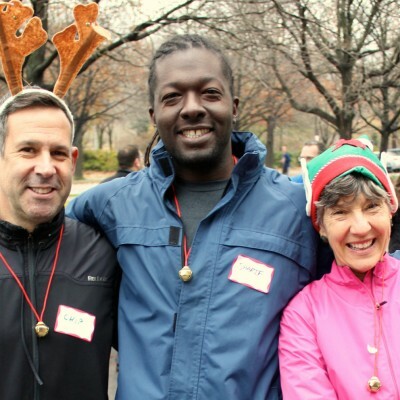 Join us on a festive group run by the Historic Houses of Fairmount Park! Join us on a festive group run by the Historic Houses of Fairmount Park! Plus enjoy a drink at the Ice Bar at Lemon Hill Mansion at the end of the run! Add $40 to include an FPC Hooded Sweatshirt! To join as a member and support Philly’s parks click here. Guided 5 mile fun run includes scenic views of East Fairmount Park, passing by Woodford Mansion, Laurel Hill Mansion, Mount Pleasant Mansion and ending at Lemon Hill Mansion. A drink ticket to be enjoyed after the run at the Ice Bar at Lemon Hill Mansion. A pass ($8 value) to see one of any of the six historic houses during December. For more information on these events please click here. Jingle Jog starts at Lloyd Hall (at Boathouse Row) and ends at Lemon Hill Mansion (which is essentially across the street and up a hill).